One 13-week assignment, plenty of opportunities to bolster your career. You’ve booked your first travel nursing assignment and are headed across the country for a new adventure in just a few short weeks. Even though you’ve got several years of nursing experience under your belt, you’re not sure what to expect. Don’t sweat it! These tips can help you prepare for what’s ahead and give you what you need to have a great assignment once you settle in. 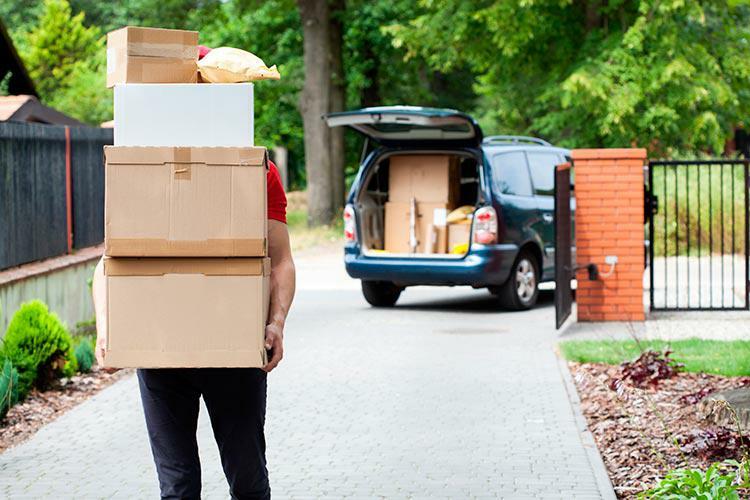 Maybe you’ve seen pictures of friends stuffing a giant SUV or minivan full of boxes and bags when they’re headed to a travel nursing job. Don’t be that nurse. You’ll regret bringing all of your shoes and the box of your grandma’s china when you arrive in a new town and have to unpack it all by yourself. Most travel nursing assignments last 13 weeks, so think about what you’ll really need—and what you can live without—for that time period. Rather than bringing a TV, invest in a laptop and stream your favorite shows online. Pack versatile clothes and shoes you can wear over and over again, and go grocery shopping when you’re settled in, rather than packing and transporting boxes of food. There are some necessities—such as shower curtains, cleaning supplies and trash cans—you can buy once you arrive, as well. It can be lonely living and working in an unfamiliar place by yourself, so make some friends before you even get to the area. Find other travel nurses who’ll be working there by joining a traveler Facebook group, such as Travel Nursing: Lessons and Tips or Travel Nurse Network. You can ask questions, get advice from seasoned travelers and even find recommendations for housing and restaurants from people who’ve worked in the city you’re headed to. You may even find a future roommate. One of the easiest ways to settle in to your travel nursing assignment is to get to know the doctors, nurses and technicians you’ll work with and become friends with them. Start by bringing everyone bagels and fruit for breakfast or leaving a thank-you note in a nurse’s locker when he or she’s been particularly helpful. Ask them for their favorite hangout spots in the area, or invite them to get coffee after a shift. You may not get along with everyone you work with, but having mutual respect will go a long way and make the assignment much easier. If and when you have an issue on your assignment, your recruiter should be the first to know. It’s a good idea to check in with him or her once a week and immediately call or text if you have a problem with your paycheck, schedule or housing. Your recruiter can also help you find a place for your next assignment or extend your contract at your current facility (if you and the hiring manager agree to that). Even though you’re working at a facility for less time than you would at a summer internship, it’s important to treat your travel job as though it’s the most important job of your career. Pitch in and help wherever you can, get to know the leaders of the facility, volunteer occasionally to take a shift no one else wants and participate in meetings and hospital projects where you can. You’ll make a great impression, and your job will be more meaningful because you’ve made a big difference to patients and staff members. Find all travel nursing jobs on Monster. Eric Darienzo is president of RNnetwork, a travel nurse staffing company based in Boca Raton, Florida. Like what you've read? Join Monster to get personalized articles and job recommendations—and to help recruiters find you.